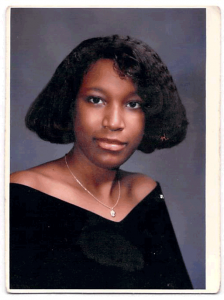 Our first scholarship program started in 2002 with the loss of Audra Nicole Oliver to sickle cell disease. In her life, she taught people about the joys of faith and perseverance in the face of seemingly insurmountable obstacles. The award of this scholarship to a senior youth leader honors students who demonstrate these qualities through service in schools and communities. The successful applicant will receive a $500 Scholarship amount to further his or her post-secondary education. The scholarship award will be presented during the senior honor’s night at the high school which the recipient attends. The scholarship amount will be paid directly to the post-secondary institution once the recipient is enrolled. Mr. Fred Oliver, Deputy Superintendent of the Fayette County Board of Education is a charter Board Member of AVPRIDE. This scholarship was established in the memory of his late daughter, Audra Nicole Oliver. Students who have been faced with some obstacle and have persevered.